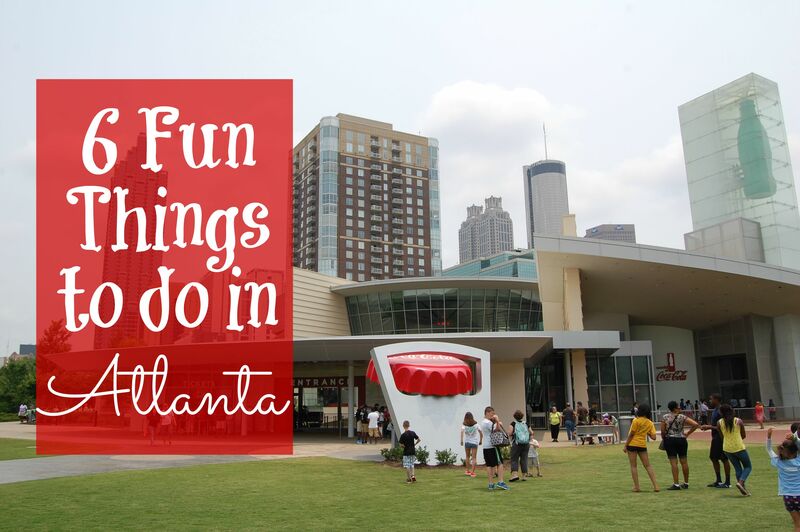 Atlanta, Georgia is full of fun things to do with kids. 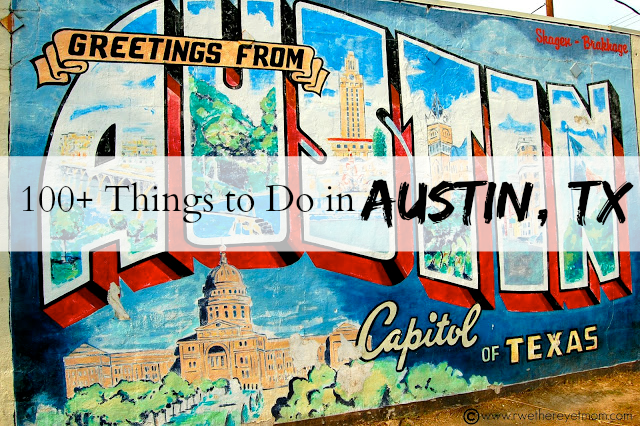 This summer, on our cross-country #Austin2Boston road trip, we only had one day to see this amazing city – how could we possibly narrow it down to 12 hours? We found Atlanta to be a very visitor friendly city, with major attractions all within walking distance, easy parking and by using one of our favorites, the CityPASS, you can get a great deal on admission prices to all the place you are going to want to see. Everyone, seriously EVERYONE, told us that we had to see the Georgia Aquarium. But to be honest with you, we have seen our fair share of aquariums across the country, what could make this one so special? Two words – Whale sharks. No, seriously. The Georgia Aquarium is the only facility in the U.S. that has whale sharks. When my son heard this, he was determined to make sure we visited. And it turns out, our favorite part of the aquarium was the moving walkway and the large room that follows where you can sit and watch the big tank. We were mesmerized by these gentle giants and it was the perfect spot to relax and cool off after a busy day. We also found other unique creators at the Georgia Aquarium we had not seen before – Japanese Spider Crabs, sea dragons, whale sharks, cannonball jelly, Japanese sea nettle and more. The aquariums features the Aquanaut Adventure, an iPad guided interactive tour of the second floor that overlooks several larger tanks. And if you time your visit correctly, you can see several fun shows for all ages. We found the Georgia Aquarium to be unique and extremely well-done. Definitely worth a visit. We visited after lunch on a weekday during the summer and did not encounter many lines or crowds. A whole museum dedicated to Coke? I mean what’s there really to see? Actually, a lot. The World of Coca-Cola features films, interactive exhibits, and a fun taking of over 60 Coke products from around the world. My kids enjoyed the 4D movie while I really dug learning about the history of Coca-Cola. Did you know that it cost only $.05 for almost 70 years??? And the secrecy behind the patent recipe is still very mysterious. We also had fun watching clips of old commercials and seeing all the memorabilia with the Coca-Cola brand throughout the years. As an adult, it was like walking down memory lane. It’s a really fun museum that took us less than 2 hours to go through. I like that it is in the same complex as the Georgia Aquarium and the Center for Civil & Human Rights, and with the CityPASS, it was a no brainer to pop in for a fun visit. If you are looking for history, than a visit to the Center for Civil and Human Rights is a must-see. We spent over an hour going thru just the Rolls Down Like Water – the exhibit about the American Civil Rights Movement. This collection was powerful and moving for myself and my older children. With print, radio clips, and video clips, it tells the story of the brave men & women who worked so hard to change the Jim Crowe laws. The Center has other terrific displays of Civil and Human rights that are ongoing around the world as well. If you have younger children, this museum is not appropriate for them. However, my older 2 (12 & 14 years old), really took a lot away from it and I am so glad that we visited. Another fascinating tour that is in downtown Atlanta is the Inside CNN Studio. The tour includes a 50-minute guided tour of the studios and if you go between 10 am and 3 pm, chances are you will see a live news broadcast while on it. It’s pretty cool to go behind the scenes of a working studio. The tours are offered only at specific times, so it is best to make a reservation to ensure you have a spot. In summer, they tend to get busy and will sell out. Just a short walk from the Georgia Aquarium and World of Coca-Cola is Atlanta’s legacy built for the 1996 Summer Olympics. Featuring a Splash Pad, ferris wheel, and lots of shade, it’s a great place to grab a sandwich and have a picnic between museums. We visited around 5 pm and my kids were just about the splash around the rings, but a thunderstorm blew in. We could see what a fun park this would be to relax in. The website has many different events (FREE ones too!) listed that take place in the park. A fun spot to go for a local meal in downtown Atlanta for the whole family is The Varsity. History of this fun burger and hot dog joint dates back to 1928. The downtown Atlanta location hold the title of The World’s Largest Drive-in and can accommodate 600 cars and over eight hundred people inside. It may be big, but it’s incredibly organized and bright. We all enjoyed burgers, fries & onion rings and a frosted orange (a creamy, orange milkshake – think Cremesicle!). It was YUM! There are lots of places to stay while visiting Atlanta, but we found the Atlanta Airport Marriott Gateway to be a great, family-friendly hotel. Though it was not located downtown, I enjoyed being away from the downtown hustle & bustle and traffic and parking. We also found it to be one of the quietest hotels we stayed at on our trip (despite it being at the airport!). There is so much more to do while in Atlanta with kids, but we simply didn’t have the time to do more. Check out the Official Atlanta City Guide for more great ideas. As I mentioned, we did use the Atlanta CityPASS to see most things in Atlanta. The Georgia Aquarium, World of Coca-Cola, Inside the CNN Studio Tour, Center for Civil & Human Rights (or Atlanta Zoo) and the Fernback Museum of Natural History or College Football Hall of Fame is included in the pass that are good for 9 consecutive days. I always like to use CityPASS when it is available as you get expedited admission and save a ton on admission prices. Disclosure: Our family was invited to visit Atlanta and were provided with CityPASSes to various attractions during our stay. I was not compensated for this article. All opinions are my own. I believe I read correctly that you were in Atlanta for one day. We’re you able to do all of the city pass places in that one day without feeling too rushed? We are stopping in Atlanta in a few weeks on our way through to Orlando. Just wondering if that’s the best way to see the town in a day. Thanks! We actually did! But we abbreviated each location and focused on what we really wanted to see. I would recommend the Coke Museum, Civil Rights Museum (depending on your kid’s ages) and the GA Aquarium if you only have one day – they are all in the same complex.